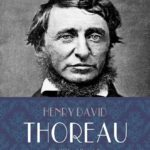 Thoreau offers a program for a righteous livelihood focusing on his penetrating questions about HOW TO LIVE ETHICALLY AND RESPONSIBLY as part of nature and part of society–questions that transcend regional and national boundaries leading us to confront the way we live our lives. Published 1863. [Parts 1 & 2 in preceding weeks] It is for no particular item in the tax-bill that I refuse to pay it. I simply wish to refuse allegiance to the State, to withdraw and stand aloof from it effectually. I do not care to trace the course of my dollar, if I could, till it buys a man or a musket to shoot one with — the dollar is innocent — but I am concerned to trace the effects of my allegiance. [Part 2 last week – Part 3 next week] The slight reproach to which the virtue of patriotism is commonly liable, the noble are most likely to incur. Those who, while they disapprove of the character and measures of a government, yield to it their allegiance and support are undoubtedly its most conscientious supporters, and so frequently the most serious obstacles to reform. [Part 2 next week – Part 3 following one] The objections which have been brought against a standing army, and they are many and weighty, and deserve to prevail, may also at last be brought against a standing government. The standing army is only an arm of the standing government.